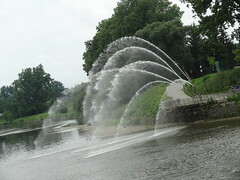 London, Ontario, with a population of over 366,000 people, this cosmopolitan city resides about halfway between Detroit and Toronto, at the forks of the Thames River. Home to Fanshawe College, the University of Western Ontario (referred to now as simply “Western”), and the place where Labatt and Carling Breweries were founded, this city has much to offer visitors; did I mention Butter Tarts? It is our last day in town; our suitcases are packed, we leave Idlewyld Inn, where we have spent the last two nights and drive over to the cool Wortley Village neighborhood for a quick breakfast. 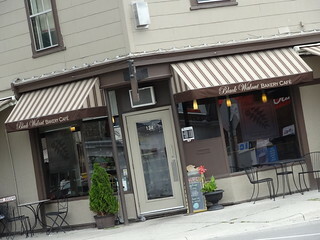 Fond of the Black Walnut Bakery Cafe on Wortley Rd, we dash in for coffee and pastries, eat them outside at a small cafe table then drive over to Dundas St in the Old East Village. I love cities; while the downtown areas may be the center of activity, it’s the neighborhoods that tell the true story of the people who call it home. When we travel we are always sure to visit neighboring districts, here we discover the real flavor and personality of the town. We find ourselves in the Old East Village, a little rough around the edges, this a a compact walkable neighborhood. 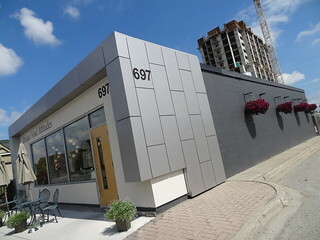 The commercial corridor remains intact and new businesses are beginning to sprout up in this section of Dundas Street. 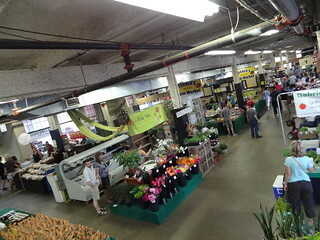 Part of the reason for the current gentrification is the Western Fair Farmers and Artisans Market. 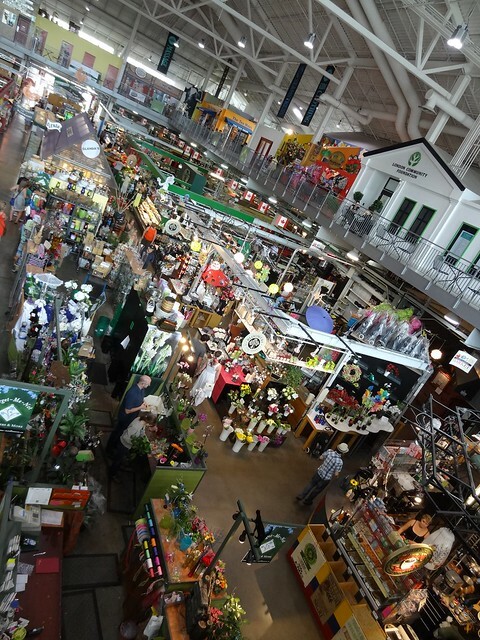 Located in the historic Confederation Building, the market is home to over 100 vendors spread out over two floors. 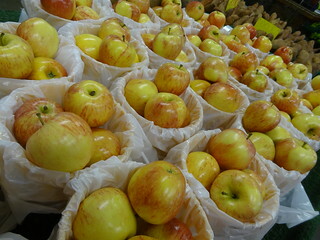 Today is Saturday, market day, the place is buzzing with activity! 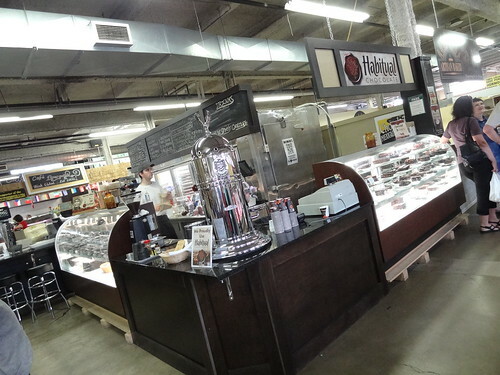 Inside we are greeted by the combined scent of fresh ground coffee, baked goods and fresh produce. Aisles are cramped with locals doing their weekly shopping, vendors meander through the crowds handing out samples; this is more than just a market, it is the social center of town. Recently the market has become a business incubator, some folks who set up shop here have experienced enough success to add a brick and mortar location in the village. Wandering through we pass merchants selling meats, produce and cheese, there’s baked goods, coffee and chocolates, we like to taste as we go. 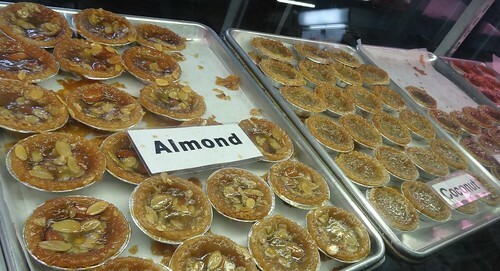 We come across a space that is lined with people, I try to wedge my way over to the display case to see what all the fuss is about, I finally get a glimpse: Butter Tarts!! If you are not familiar with Butter Tarts, you don’t know what you’re missing; the quintessential pastry of Canada, namely Ontario, it is a small, delicate pastry shell with a filling of butter, sugar and eggs, baked to a perfect golden brown. I know, it sounds so simple, so mundane, but believe me, it is anything but! Everywhere we have driven the last three days we have seen signs advertising these delicacies; local shops, bakeries, we even passed a house on a main road with a homemade sign out front that read “Chocolate Dipped Butter Tarts”. I have seen nothing like this particular booth, they sell the most amazing varieties; raisin, almond, coconut, there’s chocolate, raspberry and even a “smartie”. With such a long line we decide to head upstairs instead to the Artisan’s Market; photography, paintings and other handcrafts fill the large space. One wall is covered with whimsical birdhouses, a booth with vintage furnishings grabs our attention, beautiful wood chests and hand-made rocking horses fill another stall. Further on a dealer sells handcrafted benches that look like they belong in an enchanted forest. 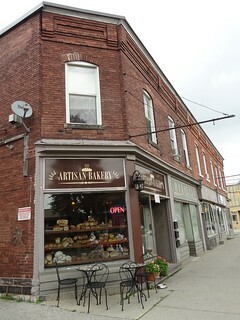 We move on to the business district of the village; our first stop is the Artisan Bakery on Dundas. 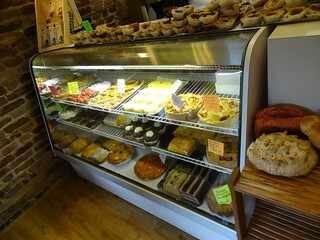 The charming brick building is bustling with customers, the aroma of fresh-baked bread fills the air, on top of the counter butter tarts are stacked three high, we order ours to go! Barely outside we take a bite of the pastry, tender crust, a soft sweet filling, it is the epitome of deliciousness! 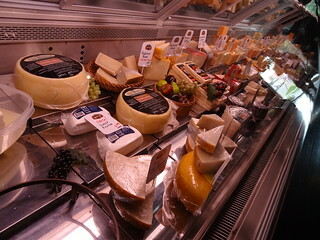 A door or two over is a cheese shop, the wall behind the counter covered in black chalkboard paint lists a variety of cheeses made with sheep, goat or cow’s milk. I try a piece of a Canadian cheese, it’s so good I order a chunk to go. Realizing we are starving we set out to find a place for lunch; we don’t have to look far, Unique Food Attitudes is just up the road. Attracted by its modern looking exterior and hanging ball lights, we never would have pegged it for a Polish restaurant! We are seated by the window, our waitress is actually the owner, she tells us the specials of the day, by her accent it is clear she is from Poland. 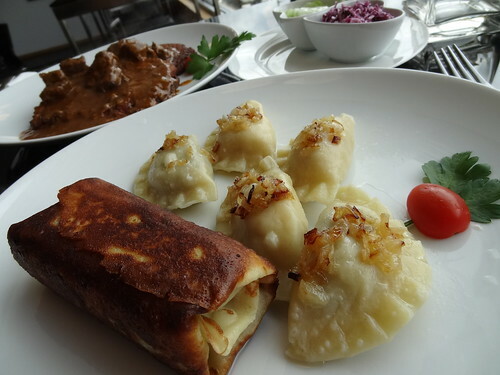 On her recommendation we ordered several different dish combinations; goulash served over a potato pancake, pierogi, krokiety, red cabbage and cucumber salads. 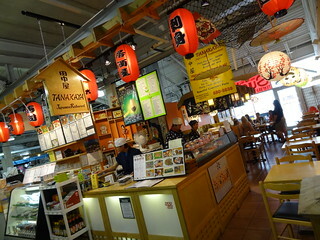 The food is outstanding, everything is made from scratch daily. If you like Polish food, be sure and look this place up. 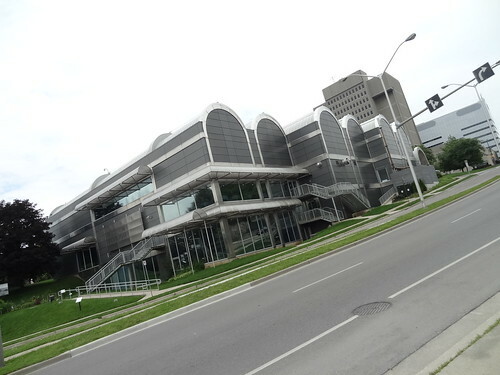 Museum London is located downtown at the fork of the Thames River, housing London’s art collection and its historical museum, visiting is a nice way to become a little more acquainted with the city. 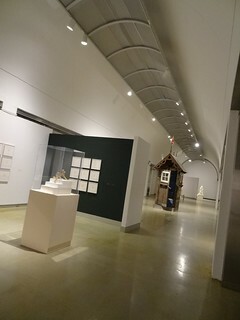 Constructed in the early 1980’s the building itself is made of glass and steel, inside the ceiling and walls are bright white, the rear of the building overlooks Harrison Park and the river. Today a wedding is being held inside the museum, they are also between exhibits, restricting us to only a small portion of the collections. 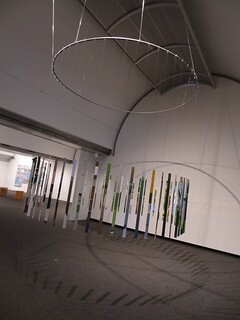 The art is both Canadian and regional, much of it modern and pleasing to us. 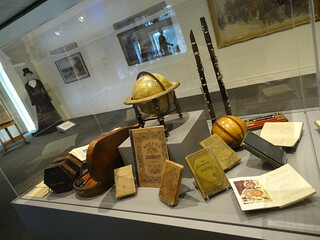 The historical section houses 45,000 artifacts detailing the culture and history of London. Our visit is shorter than expected so we exit through the back and take a stroll through the park. It is a delightful summer day, families gather in the park, joggers and cyclists fill the pathways, children cool themselves in the splash pad. Across the river bank the Blackburn Memorial Fountain shoots long streams of water into the river below, restored historic buildings rest on the nearby bluff, in the distance office towers rise above the museum. It occurs to us we are only a couple of blocks from the downtown market, never ones to pass up gourmet food, we are so there. 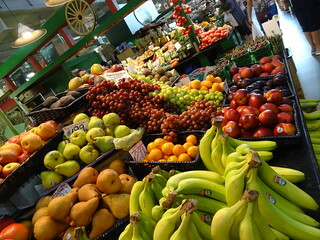 Since 1999 the Covent Garden Market has been providing Londoners with organic produce, meat, fish and baked goods, along with restaurants that range from fine dining to carry-out. Entering we are greeted by bouquets of cut flowers, the market is named after a flower, fruit and vegetable market in London England. Canadian flags hang from the metal rafters, local farmers fill their spaces with ripe red tomatoes, freshly picked apples and anything else that is in season. 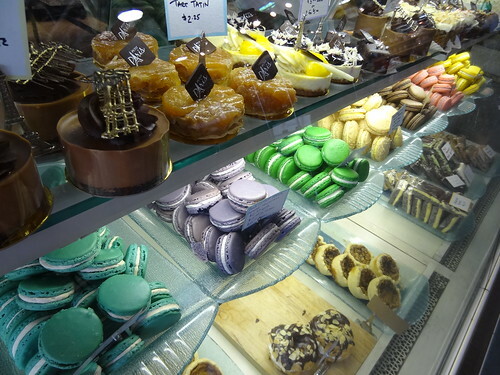 We stroll the narrow aisles past coffee roasters and a glass case filled with French macaroons colored pink, yellow, teal and purple. A chocolatier invites us to taste his dark chocolate, he dips a wooden skewer into the pot of warm liquid chocolate–it is divine. 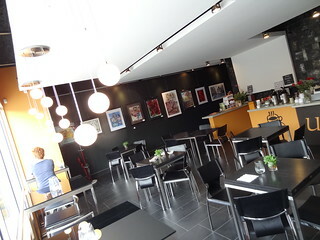 We cover both floors encountering artwork, ice cream, handmade clothing and sushi. The time has come to head back to the US. We have had a wonderful time in Canada and promise ourselves we’ll come back soon! 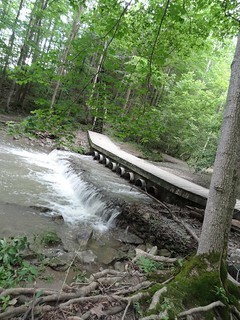 About an hour west of London we make one last stop at the Rock Glen Conservation area. 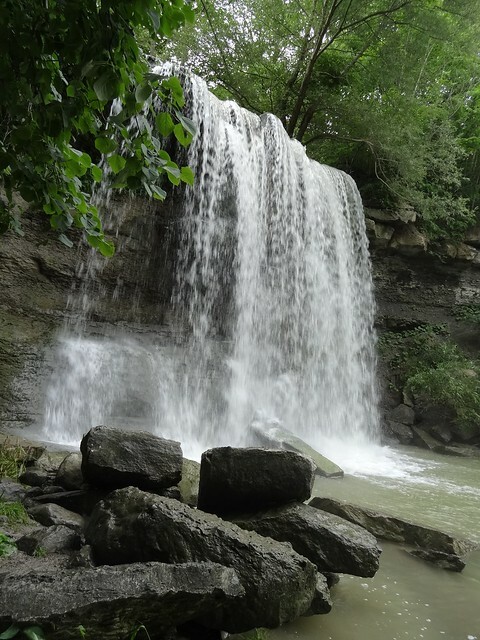 This 10 hectare park is best known for two things; Rock Glen Falls and FOSSILS! There is even a little museum onsite, it closed just as we arrive….. We begin following a trail that leads us to a wooden stairway, we can already hear the rush of water from the falls, soon they come into view, at 10.7 metres (that’s about 35 feet to you and me) high, it is a stunning sight. Back up the stairs, we then follow a dirt trail that runs along the roadway, it leads us to another stairway in the woods. 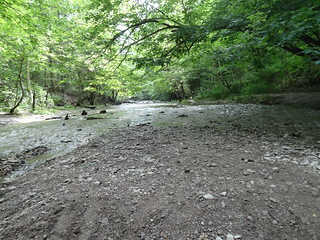 The conservation area is located in a transition zone, the Carolinian Forest Zone is to the south and the Great Lakes-St Lawrence Zone to the north, what that means is they have an amazing diversity of species from both zones; Sycamore, Black Walnut, and Tulip trees grow right alongside Sugar Maples, Beech and White Elm. 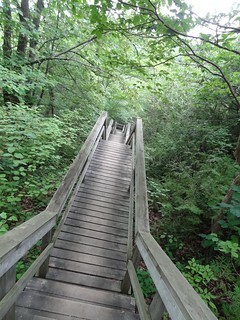 Our walk through the forest is peaceful, the temperature is at least a few degrees cooler thanks to all of the trees. Ahead the stairway leads straight down, at the bottom a bridge leads across the shallow riverbed. 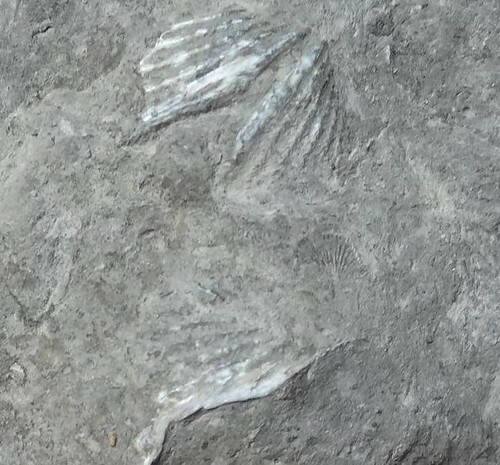 It is here we pause to look for fossils, we walk a short distance into the woods, digging is not permitted, we see things that resemble fossils, but do not find any. Back on the bridge several samples lay out on the wood; brachiopods, crinoids and corals, they are all examples of extinct sea creatures that lived 350 million years ago–wow! This area is known worldwide for the Devonian era fossil deposits found here. They have done a great job providing trails, stairways and bridges that provide picturesque views of the area. Crossing the riverbed we are led back up to the top of the gorge and back to the parking lot, it is getting late and we still have a ferry to catch back to the US. It has been a wonderful few days in Ontario, we’ve had the pleasure of delicious food, friendly people, charming places and beautiful scenery–thanks Canada!